I recently joined Instagram and I saw that there are many growers who use an eye-catching cannabis growing technique that’s been named “fluxing.” A little research shows that the fluxing technique was developed by a grower by the name of Light Addict. Here is the original fluxing tutorial from 2014: Light Addict’s Quick Guide to Fluxing (original fluxing guide by the creator). Light Addict has also published a book on the topic which is more detailed and includes many fluxing tips and tricks, as well as a bonus guide to successful cannabis grafting. This is fluxing! 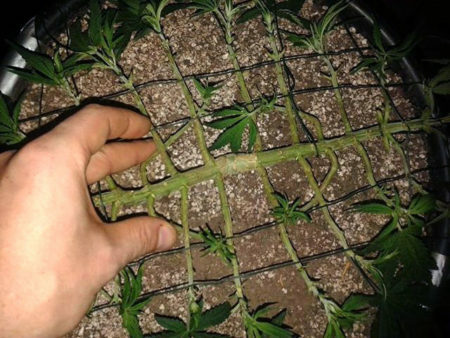 This grid-like base of a “fluxed” plant will develop into a mass of buds like this! 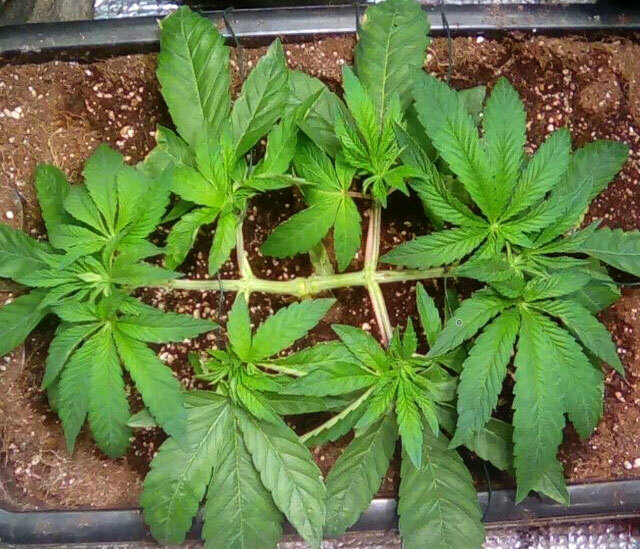 Light Addict explains the step-by-step process in detail with tons of pictures, so there is no need to re-create the tutorial, but I just wanted to share this technique with growers who may not have heard about it before, and offer a quick overview. 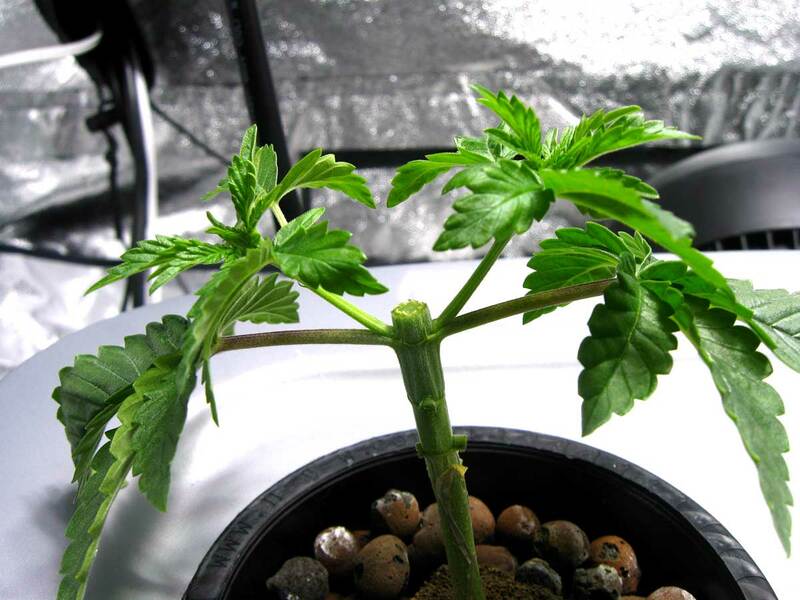 The process is similar to manifolding in that it sets up a plant with a split at the base between two main stems. However, the steps differ after that and the resulting base looks very different! Fluxing starts with a similar structure to manifolding. 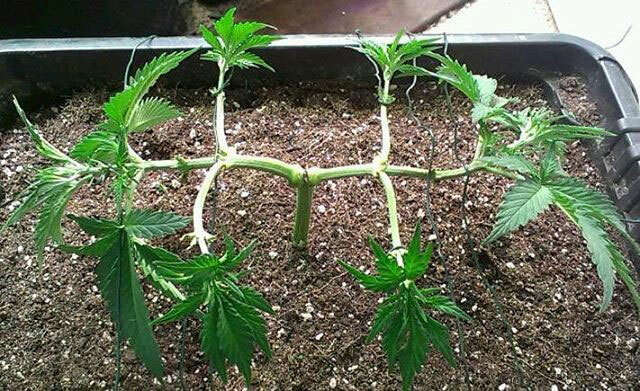 This is an example of a plant after the first step of being manifolded. 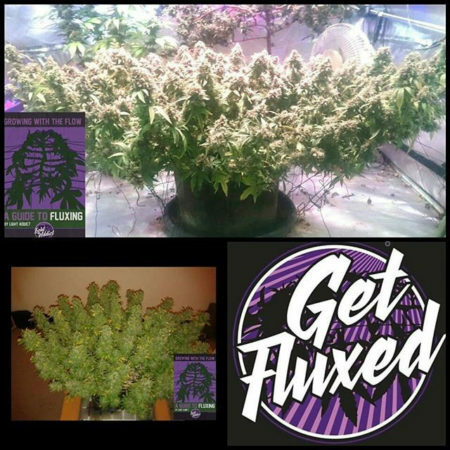 Fluxing involves spreading the two main stems out, to produce a wide and flat plant with lots of bud sites that are evenly spaced. 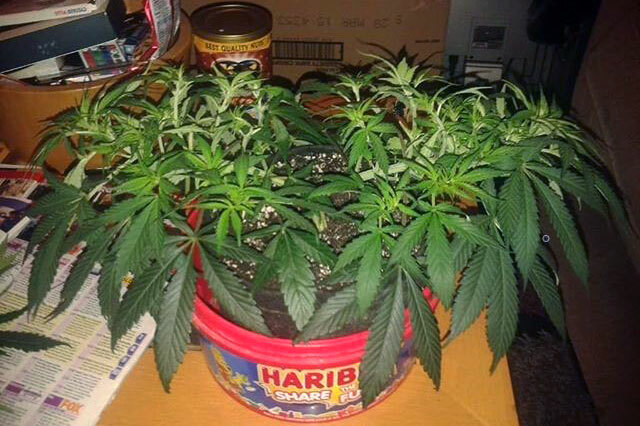 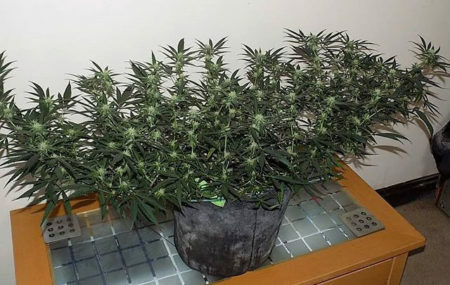 The main idea of fluxing is to top the marijuana plant when it is young and remove extra growth besides two main stems, then secure the two main branches down as the plant grows. Further topping is used to create a grid-like manifold where every cola is evenly spaced. 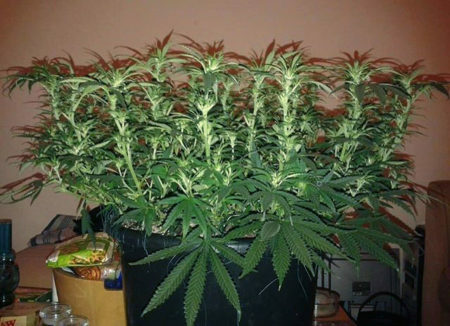 Master “fluxers” often secure plants very low to help keep plants short and tidy, but for new growers, it can be easier to secure your two main stems more loosely and let plant grow relatively naturally after that. 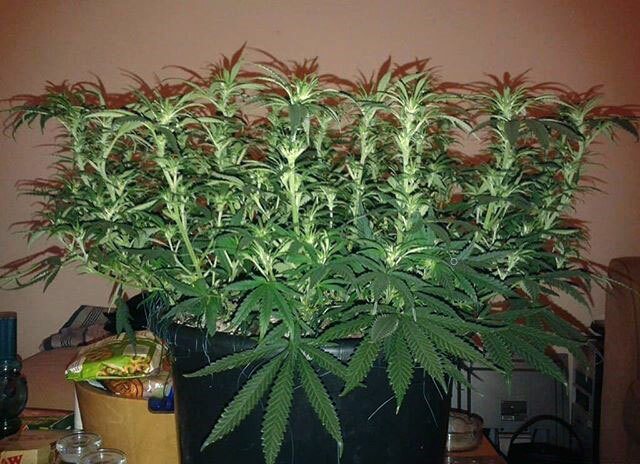 This is also a good choice for growing auto-flowering strains, as they have less time to recover in the vegetative stage from extensive topping and training. 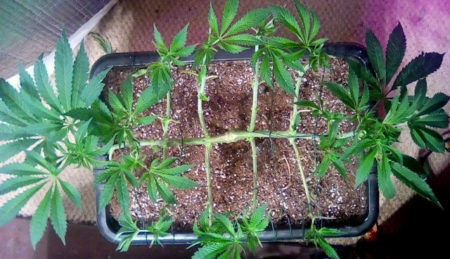 However you choose to do fluxing, you gain the ability to create cannabis plants with many colas that are evenly spaced! 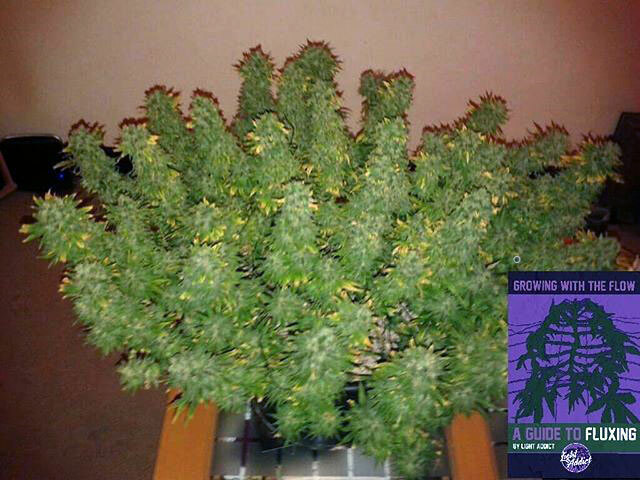 Check out Light Addict’s Quick Guide to Fluxing or the official book for detailed instructions including every little tip and trick, as well as a bonus guide to successful cannabis grafting. 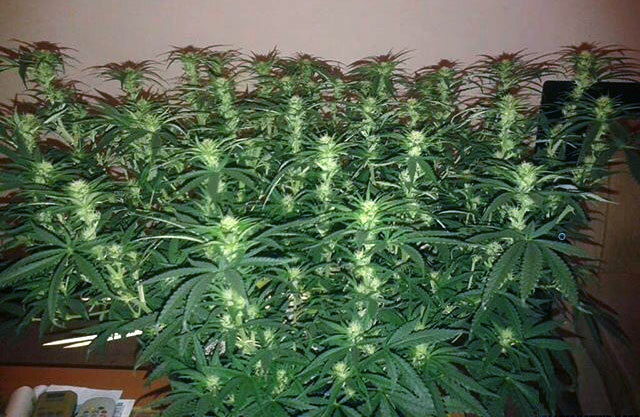 Make sure to also check out Light Addict’s profile on Instagram!